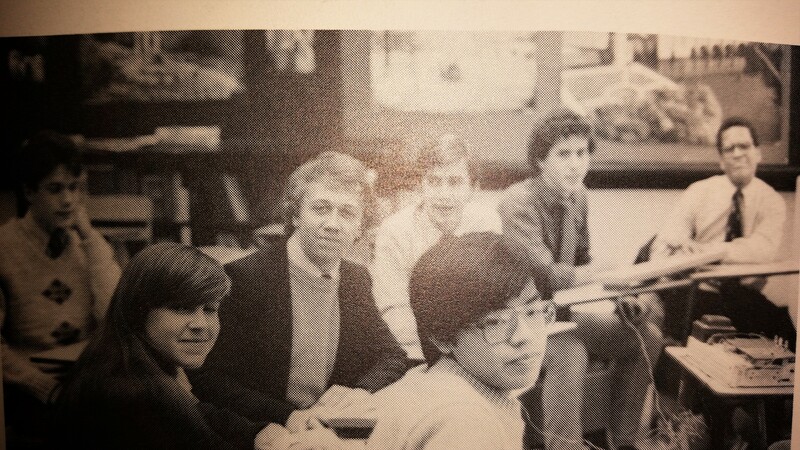 In my last two years of high school in Maryland, I played on our It’s Academic team. I think that both years we won our first game and lost our second. 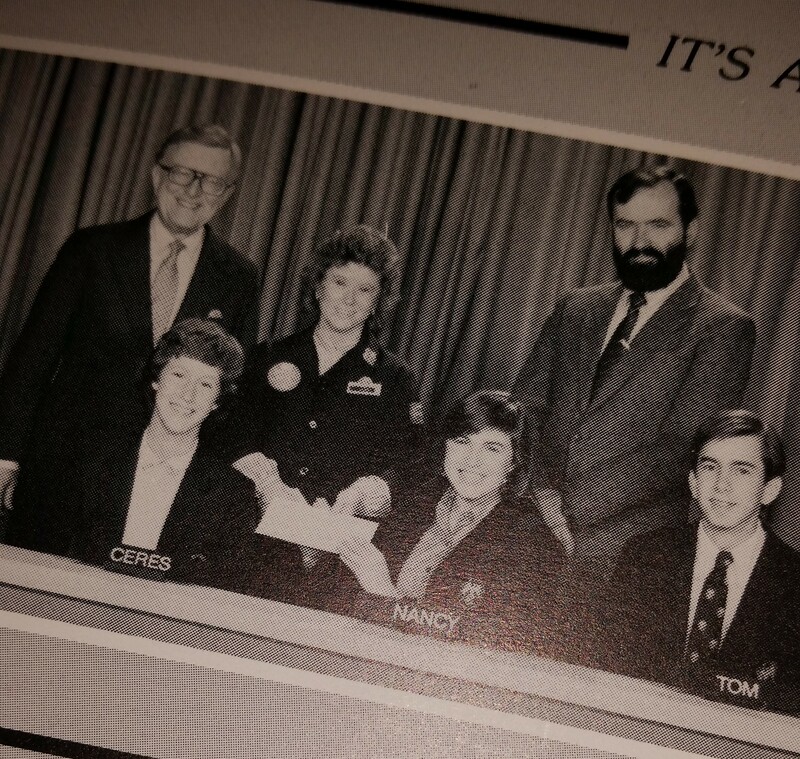 Here’s our team’s yearbook photo in my senior year: Ceres (whom I speak about here), me, and Tom, with host Mac McGarry; a Giant Food representative presenting us with our winnings; and Mr. Dave Harley, who taught us European history and advised the team. The previous year, our episode taped too late to be in the yearbook, I guess, because the photo seems to be of a practice session–look, we had a buzzer system of some sort! I’d forgotten. I’m still in touch with a couple of these guys (yes, they were all guys. I guess Ceres didn’t join until she was a junior). Also, I still have that squint in most photos. I think the players ended up being Will (in the foreground, with glasses), Paul (gazing soulfully into the camera in sweater and blazer), and me.